Eligible Candidates are requested to apply ONLINE through Bank’s website.No other means/modes of applications will be accepted. Before the registration, candidates are requested to ensure that there is a valid email id in his/her name. Educational Qualification as on 31.12.2017 X/ SSLC, XII/ HSC & Graduation with minimum 60 % marks under regular course. Age Less than 25 years as on 31.12.2017. Candidate should be born not earlier than 01.01.1993 and not later than 31.12.1998 (both days inclusive). ** Candidate should have passed X, XII and Graduation under regular course. ** Educational qualification by mode of distance education will not be considered. ** If Grade/ CGPA is awarded instead of marks, only candidates securing CGPA/ Grade equivalent to 60% or more may apply. ** The period of probation is 2 years. ** Confirmation will be subject to satisfactory performance during probation. ** IBA approved pay scale of Rs. 23700– 980/7 – 30560- 1145/2 – 32850- 1310/7 – 42020 plus DA, HRA & other allowances. ** Initial Short listing will be done based on the online test marks. ** Final Selection will be based on the consolidated marks obtained for online test, GD and Personal Interview. Candidates can apply online only from 16.05.2018 to 25.05.2018 and no other mode of application will be accepted. Next Screen will be displayed, click on “Apply online” which will open a new screen. Read all the instructions carefully, then click on “Continue button” Application Form will be opened. Conformation message screen will be displayed click OK button. A Registration Number and Password will be generated by the system and displayed on the screen. Candidate should note down the Provisional Registration Number and Password. ** After successfully creating Profile, candidate can fill application by pressing “Apply” button. Click on the Preview Tab to preview and verify the entire application form before “FINAL SUBMIT”. ** Modify details, if required, and click on ‘FINAL SUBMIT’ only after verifying and ensuring that the photograph, signature and & PWD certificate uploaded and other details filled by you are correct. Click on ‘Payment’ Tab and proceed for payment. Click on ‘Submit’ button. ** The payment can be made by using Debit Cards (RuPay/Visa/MasterCard/Maestro), Credit Cards, Internet Banking, IMPS, Cash Cards/ Mobile Wallets. ** After submitting your payment information in the online application form, Please Wait For The Intimation From The Server. Do Not Press Back Or Refresh Button In Order To Avoid Double Charge. ** On successful completion of the transaction, an e-Receipt will be generated. 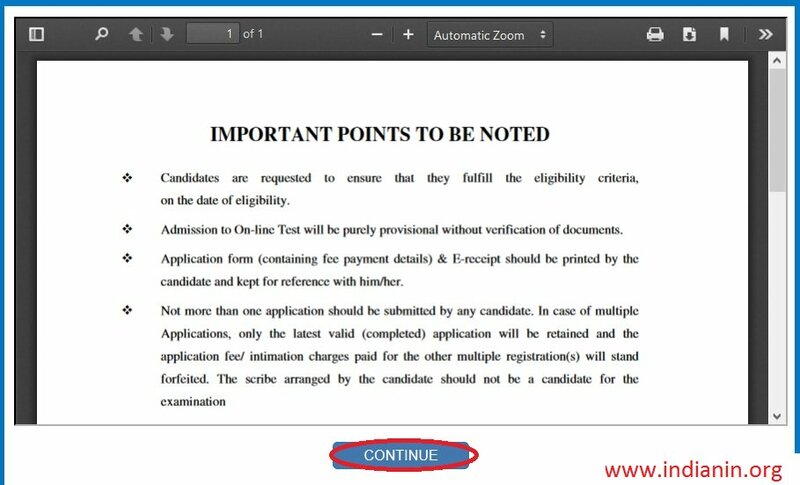 ** Candidates will have to appear for Online Test, GD & Interview at their own cost. ** Appointment of the selected candidates will also be subject to Medical fitness, satisfactory background verification and completion of other formalities as per the rules and regulations of the Bank from time to time. ** Candidates will have to appear for Online Test through the website. ** Candidates will have to visit the Bank’s website ‘southindianbank.com’ for downloading call letters for online test. ** Intimation for downloading call letter will also be sent through email/SMS.